Myeloma UK Chief Executive, Rosemarie Finley, looks back at the news and achievements from across the organisation in October. October has been another excellent month for Myeloma UK, with only a few months left in our 21st Year. Our annual Patrons Briefing took place in London. We were thrilled to have Sir Peter Clark, Chair of NHS England Chemotherapy Clinical Reference Group, as our key notes speaker. He spoke about how he thinks the landscape will develop over the next five years in terms of new treatments for myeloma patients. His speech was enlightening and we thank him again for coming to speak at the event. 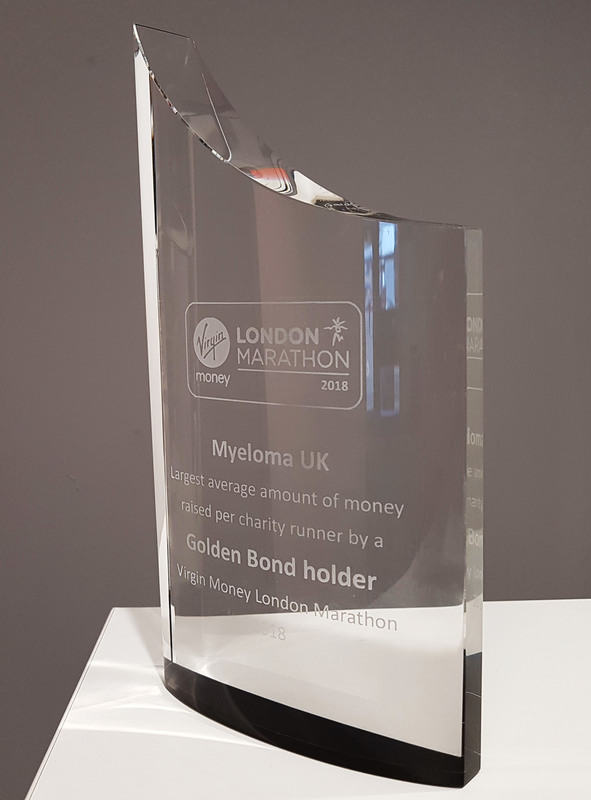 We were delighted to receive an award from the London Marathon, after our four Gold Bond place runners raised the largest average amount per runner. On average, each of our runners managed to raise a fantastic £11,000. It is wonderful to see our runners achieve this and be acknowledged by the marathon organisers for raising money to help those affected by myeloma. This is a fantastic achievement and I would like to send my thanks to everyone who ran the marathon and helped to achieve this excellent accolade. Our Marketing and Communications team also attended The Drum DADI Awards, after being nominated for two awards for the Myeloma Awareness Week 2018: Myeloma Stars campaign. The prestigious awards recognise some of the best in digital marketing. The campaign was nominated for ‘Best Website – Visual Design’ and ‘Viral Campaign’, competing against the likes of the BBC, Lionsgate and Lexus. 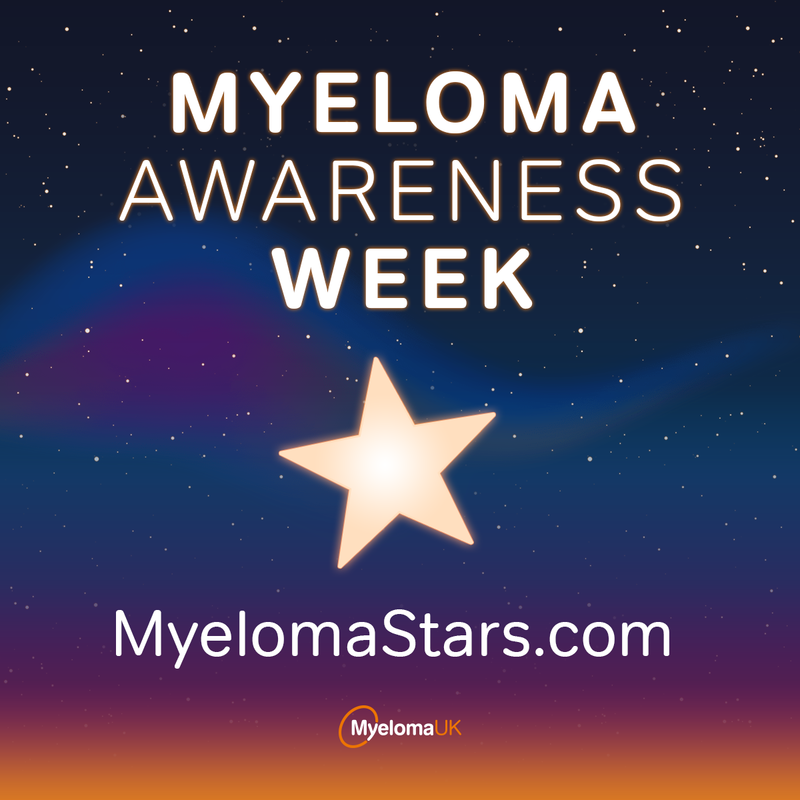 I am immensely proud that the work our staff is doing to raise awareness of myeloma in the UK is being recognised amongst some of the world’s biggest brands. I hope that this will help to increase awareness even further. Our Coffee Morning Month has also launched. This November, we would love as many people as possible to get together with family, friends, colleagues and their local community to hold a coffee morning event. It’s a fantastic way to spend some quality time together and also help raise money to make myeloma history. To find out more, visit our Coffee Morning Month event page.